As the mercury dips, beat the cold with Tommy Hilfiger's exclusive winter jacket with solar panels on the back which will not only keep you warm but would also charge your mobile phone. International apparel brand Tommy Hilfiger has launched a unique jacket for the winter season with solar panels on the back. The jacket is designed in a manner that it would not only keep body warm, but one can charge mobile phone with the solar energy as and when required. Priced at Rs 37,000, the solar jacket is available for both men and women. Made with wool and nylon threads, the jackets are adorned with 7-10 solar panels on the back, which are removable. The buyers will get a removable bag along with jacket to stow solar panels when not in use. 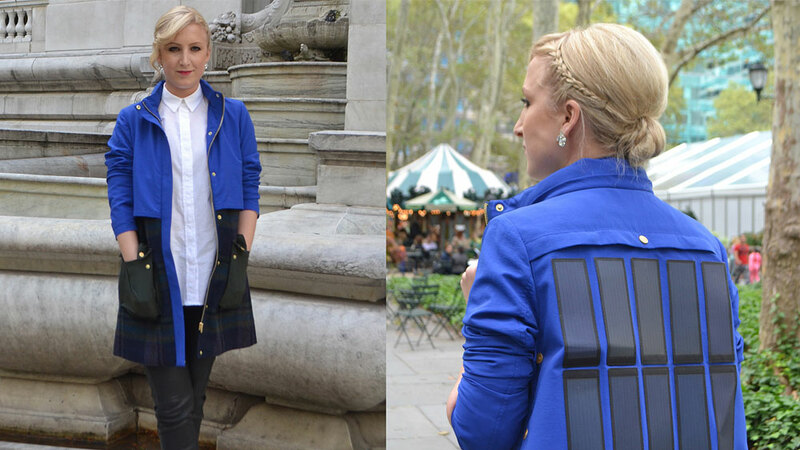 The brand claims that its new launch solar jacket can charge 'most smartphones' beyond their capacity. People can check-out these jackets on Tommy Hilfiger's website. VLCC expanding in overseas market..